This copy is complete and in good order. 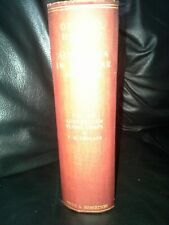 BIRD WONDERS OF AUSTRALIA * ALEC H. CHISHOLM * HB 1948 3RD EDITION. THIS BOOK WAS FIRST PUBLISHED IN 1934, AND THIS EDITION HAS BEEN REVISED AND " AMPLIFIED " CONSIDERABLY SINCE ITS FIRST APPEARANCE. STORIES OF AUSTRALIAN ANIMALS. Very, very scarce. No author or illustrator found. approx 24 pages, full colour illustrations. COAST OF ADVENTURE. CHARLES BARRETT. Author: CHARLES BARRETT. COAST OF ADVENTURE. WHITE LINE IS NOT THE ITEM. IT IS MY SCANNER! OUR INTERESTS ARE MOSTLY WITH RARE LITERATURE. WE DO E-BAY AS A HOBBY. FIFTY DRAWINGS BY FRANCIS LYMBURNER. URE SMITH - 1946. A hard covered book in good condition. There is no dust jacket. FOREWORD BY EDGAR KAUFMANN. HC pbl in 1948. WESTERN AUSTRALIAN READER. 290 pages, nice and solid, minor wear. KOKWA -a little Koala Bear. A BEAUTIFUL STORY ABOUT A KOALA WHO LIVED FARAWAY IN AUSTRALIA. Publish Date: 1945. top left corner inside front cover. but still holding together. Publisher: HUTCHINSON'S BOOKS FOR YOUNG PEOPLE. With 10 full-page plates and 88 illustrations in the text. 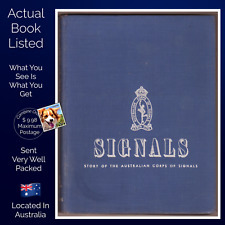 Published by William Brooks & Co., Ltd., Sydney, 1906. WE DO NOT ACCEPT INTERNATIONAL MONEY ORDERS OR US CHECKS. End papers browned, otherwise very good condition internally. By David Fleay B.Sc., Dip. (quoted from Wikipedia). 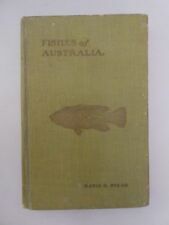 David Fleay is probably one of Australia's best known naturalists. and among other things, was the first man to breed the duckbilled platypus in captivity. See photos for details. (Weight: 610 gms). THE LAST ANZACS. 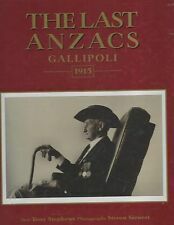 GALLIPOLI 1915. HC pbl in 1996 by ALLEN & KENNEDY. by TONY STEPHENS. For weeks they battled huge sand dunes, on their way from Andado to Birdsville. A classic narrative of modern exploration. Madigan's style is pleasant without drama or becoming too dry over minutae. Book is complete and cover is in near excellent. A good copy but has the typical brown spotting on inside covers, book block and sprinkled lightly throughout book. Publisher:The Voluntary Worker's Association. Bank Details We do not accept international money orders or US checks. Illustrations:Black and white and colour illustrations. Size:23cm x 28cm. WHO'S WHO IN AUSTRALIA. Publisher: International Press Service Association. Acc No:240 314 922. BSB: 012 030. Bank Details We do not accept international money orders or US checks. 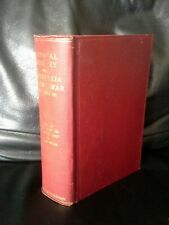 Subtitle: The Life and Work of William Macleod by His Wife. Signed and inscribed by Esner Macleod. Date Pub. : 1931. rear of front cover pasted the introduction of the book from the newspaper. We do not accept international money orders or US checks. AUSTRALASIAN TOKENS AND COINS. Pages:163 and 61 plates. We do not accept international money orders or US checks. Acc No:240 314 922. BSB: 012 030. Bank Details Size:19.5cm x 25.5cm. 1912 AGRICULTURE. Printed by William Applegate Gullick 1912. 5 pages with a large fold-out map. Binding: Bound in modern blue cloth with title on spine. BSB: 012 030. Bank Details We do not accept international money orders or US checks. BSB: 012 030. Bank Details We do not accept international money orders or US checks.